For this project we needed to place two generators in one acoustic plant room enclosure for a Data Centre in Reigate. This was no problem whatsoever for our installation team at shentongroup led by Terry Catlin (Project Manager), we are used to providing whatever our clients ask for. Data Centre World 2018 – How Can You Secure Your Data Centre? shentongroup, Andover, urgently requires a Generator Production Engineer to join the existing team. We at shentongroup install Generators for any industry no matter how complex the project is. In June we reported on the first six Generators of ten rolling off the production line for this prestigious project. We are now proud to announce that all 10 are now safely on site and await commissioning. 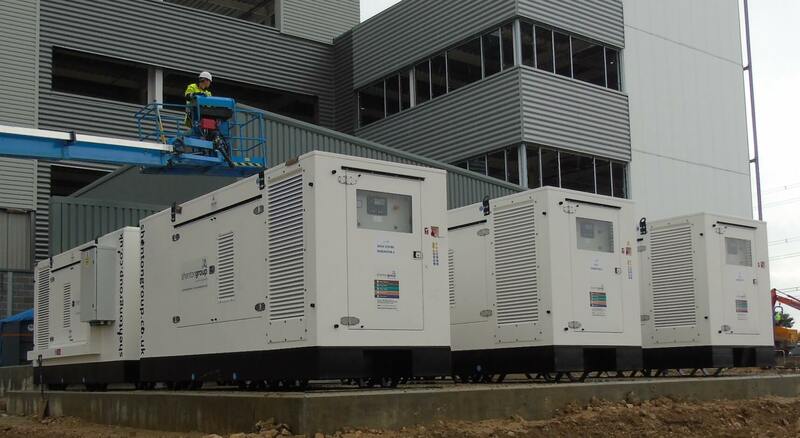 These Generators have been installed at a Yorkshire Distribution Centre for a major UK Retailer. 4 of the 10 Generators at a separate area of the site. Each of the 10 Generators are capable of producing 550kVA and weigh 5 Tonnes. The delivery and siting of them was carefully managed by our highly skilled Projects and Engineering teams using 5 Articulated Lorries. The sets were split into 2 sites for LV1 and LV2 switch rooms. There will be more to report on this project once it has been commissioned. We at shentongroup will take on any type of project, large or small. This project involved installing a Generator in a large studio and apartment block in London. shentongroup has successfully completed a Generator project for a major retail development in South Wales on time and within budget. We at shentongroup have been involved in many projects for student accommodation blocks so when our client asked us to look after this project we knew we could draw upon years of experience to complete it to a very high standard. 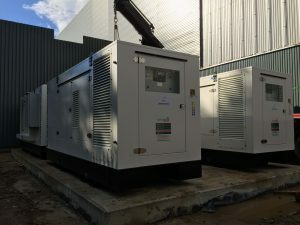 A major university in the Midlands now has backup power thanks to shentongroup. shentongroup successfully completed another Generator installation recently at a school in Wales. This project was built around a 500Kva standby Generator and also included a Fuel fill cabinet which was recessed into the School perimeter fence with Power Pipe leading to the Generator base tank.